History is the only laboratory we have in which to test the effect of ideas. Scientific knowledge may progress by abandoning its old notions and even forgetting them. But political knowledge—the interplay of regimes and policies and personalities—advances only while we recall the political arrangements of the past and what came of them. In the old adage of Dr. Johnson, humankind is far more often in need of being reminded than of being instructed. The modern historian Anne Applebaum is determined that no one forget what Soviet communism really was, and in many ways her latest book, Red Famine, is simply a cry for remembrance of the Holodomor—the great Soviet starvation of the early 1930s, in which nearly 4 million Ukrainians died because Joseph Stalin had an idea, and the political regime he ruled allowed him to implement it. "The starvation of a human body," Applebaum notes, "always follows the same course. In the first phase the body consumes its stores of glucose. . . . In the second phase, . . . the body begins to consume its own fats. . . . In the third phase, the body devours its own proteins." In the end—skin thinned, eyes sclerotic, belly swollen, the mind beaten down by hallucinations—a mortal apathy takes hold as the body slumps toward death. Just as starvation follows a familiar course in each individual, so food shortages all follow a recognizable pattern. As Amartya Sen showed in his classic 1981 study, Poverty and Famines, government is a primary cause of scarcity. Modern famines aren't acts of God so much as acts of politics: born of the actions and inactions of distant officials, the incompetence and cupidity of local administrators, and, perhaps most of all, the imposition of bad policy at the highest reaches of power. Here in 2017, the centennial of the Russian Revolution, Applebaum insists that we look again at how the Ukrainian famine was allowed to begin and how it was allowed to continue. The particulars she relates are fascinating, but, as Sen would have predicted, the overall story traces a murderous arc that ought to be familiar: the death of millions in the exercise of tyrannical power. When we forget what Communist tyranny did, we forget why we must always resist its return. In the battles that followed the Bolshevik revolution, the system of Soviet republics slowly emerged in part as Lenin's way to coopt the peasants and tie them to the Russian government that was determined to keep the breadbasket of Ukrainian territory within the new Communist territory. Stalin began his own rule by expanding the policy, allowing Ukraine to keep some distinctive national elements. By 1927, however, Stalin felt the political situation had become both more secure and more fragile. International threats loomed large in the Russian mind, even while greater controls over the population allowed large-scale attempts to modernize the Soviet republics. The peasants as a class, especially the richer peasants known as kulaks, resisted Communist efforts and thereby seemed in league with foreign powers. So Stalin began confiscating land to form collective farms. It was, in conception, a political masterstroke, aimed at solving all his problems at once. Forcing the peasants to join collective farms would disempower the kulaks and thereby weaken Ukrainian identity. Collectivization promised a uniform modernizing of agriculture, which would increase yields across the Soviet empire. Even more, it would allow greater state control of agriculture—providing Moscow with Ukrainian food to distribute to less treasonous Soviet areas, ensuring their loyalty to Moscow. The collective farms would even provide grain that could be sold abroad, bringing in the cash necessary for Stalin's radical plans to build a modern industrial base for the Soviet Union. Unfortunately, the farming population resisted, which Stalin took as sedition. Brutal police enforcers from the cities were sent in to punish the peasants, killing anyone they suspected of hiding grain and confiscating even the seed they needed for the next planting. And so the familiar tale of modern famine began to march toward its inevitable conclusion. "Starvation," Applebaum points out, "was the result of the forcible removal of food from peoples' home; roadblocks that prevented peasants seeing work or food; blacklists imposed on farms and villages." In the Great Famine of 1932 and 1933, cannibalism became an open secret. All pets and farm animals disappeared. The hunger of the farmers reduced their strength to work the farms, worsening the crisis. And around 3.9 million Ukrainians starved to death, with at least a million more elsewhere in the Soviet Union. None of that famine originated in the old causes of bad weather. Stalin killed the peasants because he had ordered a policy that no one could resist. Robert Conquest's path-breaking 1986 study, The Harvest of Sorrow, convinced most readers that the famine had in fact taken place, though the Soviets never fully admitted it and, as Applebaum acidly points out, Western journalists (notably the New York Times‘s Walter Duranty) helped keep the millions of deaths hidden from the world. The only question that remains these days is whether Stalin directly intended the deaths. He certainly caused them with his policies, and he was obviously willing to allow the slaughter to continue, once it had began. But did he want a Ukrainian genocide from the beginning? Given the archival evidence of Soviet pride in destroying the kulaks, the answer seems to be both yes and no. Stalin planned on any number of deaths, and he pursued his agricultural reforms even once it was clear that no goal other than punishing the peasants was being served. 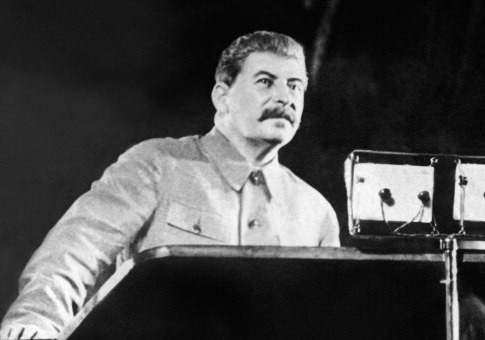 "Stalin did not seek to kill all Ukrainians," Applebaum writes. But he did intend to eliminate "the most active and engaged." In Red Famine, Applebaum shows that she understands the purposes that remembering the Holodomor serves today. The Ukrainians have repurposed the particular Soviet oppression as general Russian oppression, with the Great Famine understood as a deliberate genocide—and thus a rallying cry for Ukraine to resist encroachment from Putin's post-Soviet Russia. With her 2004 Pulitzer Prize-winning volume, Gulag: A History, Anne Applebaum endeavored to return to conscious memory the Soviet prison system that figures from Alexander Solzhenitsyn to Robert Conquest had chronicled. It was a fine book, just as Red Famine is a fine book. But Applebaum's greatest strength—her most admirable gift to her readers—is her unwillingness to let us forget just how relentlessly murderous, cruel, and ideological the Soviet regime really was. She knows, in other words, that here in 2017, a hundred years after the Bolshevik revolution, we are still in need of being reminded what the laboratory of history has taught us about the evil of communism.